← Philadelphia: The Great Little Church! Some time ago, Newsweek magazine printed an article called “The Super-Churches of Houston.” It was an analysis of a trend that is becoming more and more common among the mega-churches. The direction is towards ecclesiastical entertainment centers that not only offer Broadway quality musical productions as worship services, but also multi-million dollar sports complexes and huge professional staffs who provide everything from exercise classes to meal services. 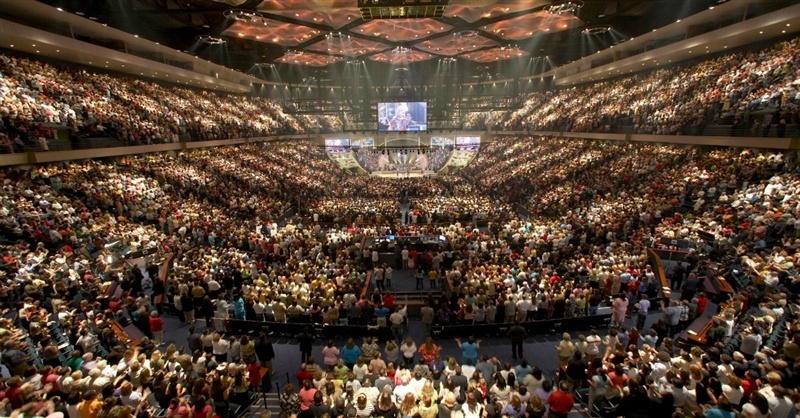 One church boasted 17,000 members and a budget of over $10 million. At the time of the article, they were nearing completion of a facility featuring two full-size basketball courts, a roller rink, six bowling lanes, four glassed-in racquetball courts, a suspended jogging track, saunas, whirlpools, and a restaurant called “The Garden of Eatin.” Their pastor explained: “There’s a phenomenal amount of money here, and that makes for a catalyst to do great things for the kingdom of God.” His associate added, “America does things in a big way, and the Lord is not going to be left in the backseat.” Of course, their crosstown rival wasn’t either. Their plans? A $34 million facility with two more bowling lanes than the first church and a state-of-the-art sports complex out-rivaling all their competitors. Why mention this trend? Because most churches want to grow. The question is: What kind of growth do we want, and what methods will we use to accomplish it? When we started our fellowship, we could have tried to attract people from other churches. But we didn’t because that’s sheep-stealing and superficial growth. Instead, the people we’ve added have come the old-fashioned way—by one sinner telling another sinner where he found spiritual food. 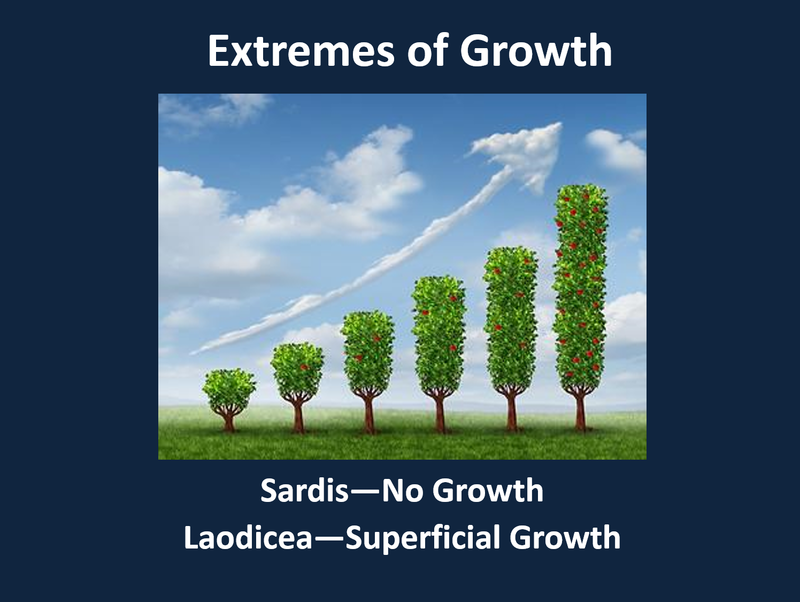 There are two extremes to avoid when it comes to growth. One we discovered in our study of the church at Sardis—no growth. Why didn’t they grow? They were dead, and dead· things do not grow. But the other extreme is just as bad, and that’s the problem exemplified in this study—superficial growth. The church of Laodicea was the super-church of its day. They were big, active, and wealthy. But in the things that mattered, Jesus called them “poor, blind, and naked.” Let’s find out why by looking at the problem of this church. The most striking thing about this letter is its lack of commendation. In each of the other letters, Jesus found something to praise. But not in this one! For there was nothing good to say about this church. “Amen” is a very significant word in the Bible. Jesus used it in the Gospels whenever He introduce a key thought or emphasize His point. “Verily, verily I say to you.” That’s the word “Amen.” “God said it. That settles it. The matter is beyond dispute!” Yet I want you to notice, this is more than a loud “Amen!” tacked onto the end of a sentence. This says that Jesus is the “Amen.” What does that mean? It means, as 1 Corinthians 1:20 says, that all the promises of God are “yes” and “amen” in Jesus Christ. Or to say it another way, not one word of this Book will ever fail. Why not? Because Jesus Christ is the guarantee and fulfillment of it all. Why was that important for the Laodiceans to remember? Because lukewarm Christians do not take the Word of God seriously. They may give mental assent to the major teachings and warnings of the Bible, but they compromise in those “gray areas” which they consider nice but not necessary. After all, a little bit of carelessness and neglect never hurts anyone. Or does it? The story is told of an ocean liner that sank off the coast of Ireland. Divers were sent down to investigate how the tragedy happened. 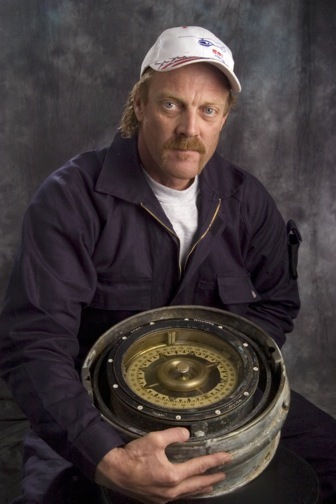 One item recovered was the ship’s compass, inside of which they found the tip of a knife. Apparently, while cleaning it, one of the sailors had broken off the point, which then lodged inside. It was just a little thing, but sometimes that’s all it takes to throw a life off course—just a little bit of spiritual unfaithfulness and neglect. Why was that important for the Laodiceans to hear? Because they thought they had it all together, and they prided themselves on it. They prided themselves on their wealth. They prided themselves on their success. They prided themselves on their intelligence. So Jesus reminds them, “The only reason you enjoy any of these things is because I, your Maker, gave them to you. And I can take it away in a moment. Because I’m the Origin of it all! We need to remember that too! Think of how much we enjoy. Certainly far more than the Laodiceans ever dreamed of having – cell phones, hot and cold running water, televisions, fast food, automobiles, word processors, hot tubs, RVs. Every creature comfort we could want and more! And that’s dangerous. Because when you have so much, why do you need God? Some of you may have read about the eagle that attacks seals. The bird swoops down and fixes its claws in the creature’s back, pulling it to shore and killing it. But sometimes the seal proves too strong for the bird, and with a mighty lunge heads for deep water. The eagle shrieks and struggles to release its grip, but the helpless bird is slowly pulled beneath the waves to its death. That’s the way it is with the things of this world if we become attached to them. They drag us away from Christ towards spiritual and sometimes eternal disaster. Christ found two major faults in this church. The first was lukewarmness. That was a concept the Laodiceans could immediately understand. 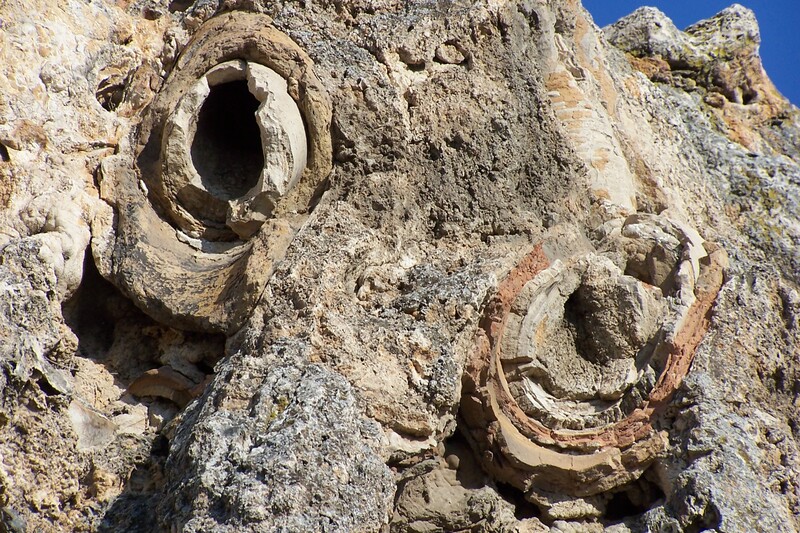 The neighboring cities in the Lycus River Valley were Hierapolis, known for its hot spring with its reputed healing qualities. 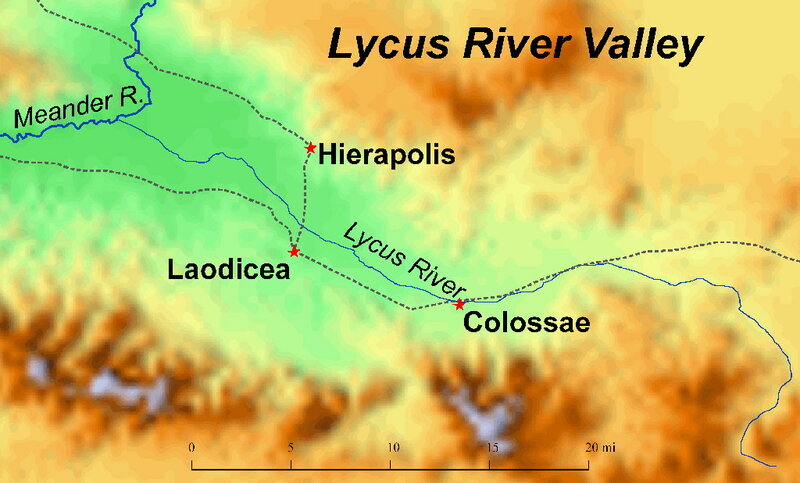 Colossae, on the other hand, was located at the foot of the mountains, enjoying cool and refreshing water. But Laodicea had no water supply of its own. They had to pipe in mineral water through two underground aqueducts from miles away, which made it almost undrinkable by the time it reached them. In fact, those who visit the spring today say it tastes so bad that their immediate reaction is to spit it out. Then you ask, “who is He talking to?” The unbelievers in the church, which was the majority of the congregation. They professed to be Christians, but had never committed their lives to Christ. You say, “Is that possible? Can a person faithfully attend church and still not be a Christian?” Of course, the devil himself often visits churches, and we know that he is not a true worshiper of God. In fact, I grew up in a church like this—with a membership of over a thousand very nice people who believed in God, but never was there any emphasis on the Gospel. Rarely did anyone mention sin or that Jesus had died on the cross to pay for them. Nor do I recall even one time hearing someone say with conviction, “I believe Jesus rose from the dead!” The only time I heard the gospel was during a confirmation class I was taking. One of my friends asked the minister, “But how can I be sure that I’m going to heaven?” His answer was John 3:16, “For God so loved the world that He gave His only begotten Son that whoever believes in Him should not perish but have everlasting life.” Other than that, I never heard God’s plan of salvation. Nor did the other members of the church. And how can anyone be saved without hearing the Word of God? We believed in God and professed to be Christians, but how many had faith in Jesus Christ? I didn’t. And that’s scary! Attending church for years and still not being right with God because you have never invited His Son into your life and yielded your heart to His Holy Spirit. 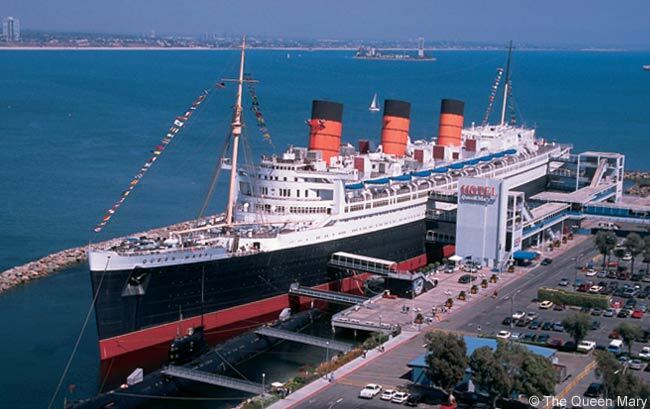 The superficial nature of our growth came to mind when reading about the Queen Mary, once the largest oceangoing vessel on earth, now a floating museum in Long Beach, California. Those who’ve seen it know how impressive it is! But before her conversion, something interesting happened to her. They removed her smoke stacks for painting, and when they set them down on the dock, what happened? They crumbled. Why? Because there was nothing left of the ¾ inch steel from which they were made. All that remained were thirty coats of paint that had collected over the years. That’s the danger we face if what we’re concerned about is what others think of us. The danger is that we can have an impressive outer image, but empty be on the inside. Because we’ve never allowed Jesus to remake us from within. But He has a remedy. Colossians refers to the same thing. Paul urges us, “Put on the new nature, which is being renewed in knowledge after the image of its Creator.” We are to put on the character of Christ like a beautiful new garment. You say, “I’ve been trying to do that. I’ve been trying to be like Christ for years.” I know. That’s the problem. You’ve been trying. The good news is you don’t have to try anymore. What you need to do is accept the righteousness of Christ by faith. How? The Bible says there are two steps. First, you need to take off the old. What many believers try to do is wear two coats at the same time. They try to put on the new coat of Christ’s righteousness over the filthy coat of their self-righteousness. But you cannot wear both. To wear the coat of Christ’s righteousness, you have to quit trying to patch up that smelly coat of self-effort, because that will never be accepted in God’s presence. 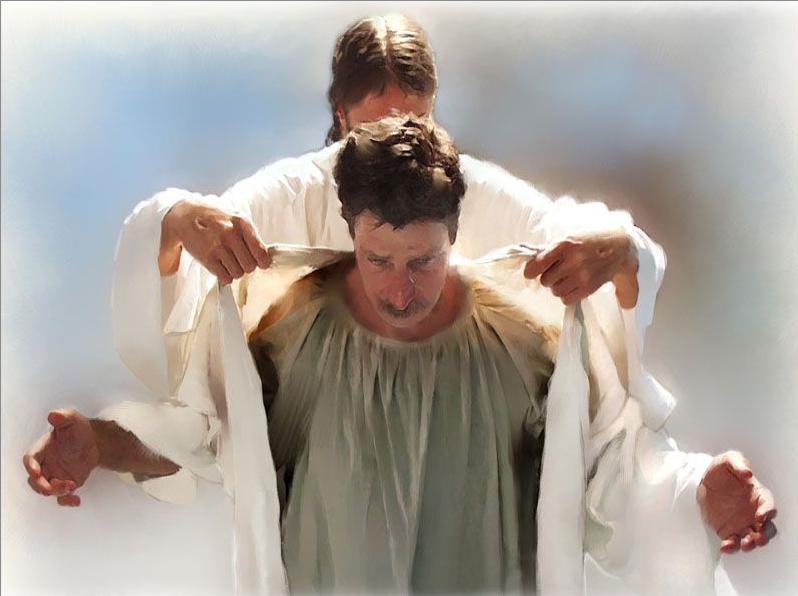 You have to recognize your ragged garments, ask Christ to remove them, and then trust Him to give you the coat of His righteousness as a gift. 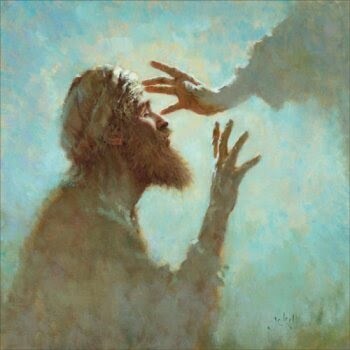 Verse 18 adds, “And eye salve to anoint your eyes so that you may see.” That was the third industry for which Laodicea was famous. It was the site of a medical school that boasted an eye powder which could heal all sorts of visual problems. And Jesus agrees. You need an anointing, but not of eye powder. You need the anointing of My Holy Spirit, so that the eyes of your understanding may be opened and you can understand the things of God. Let me liken it to a visual problem I have. Doctors call it color deficiency. 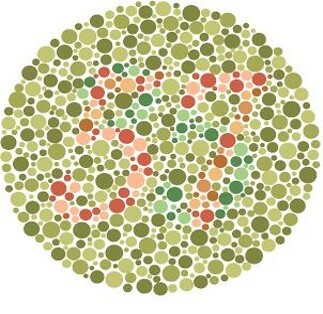 It used to be called color blindness. But that’s no longer considered polite. So now I’m color deficient, which means there are some colors in the spectrum I cannot see. The primary colors I recognize—red, blue, yellow, orange. But many of the shades—pinks, purples, greens, browns—are hard for me to distinguish. Why? Because there is something lacking in my rods and cones. And something similar can be said of the unbeliever. You can talk to him day and night about spiritual things, and he just doesn’t get it. Why not? Because he does not have the anointing of the Holy Spirit. 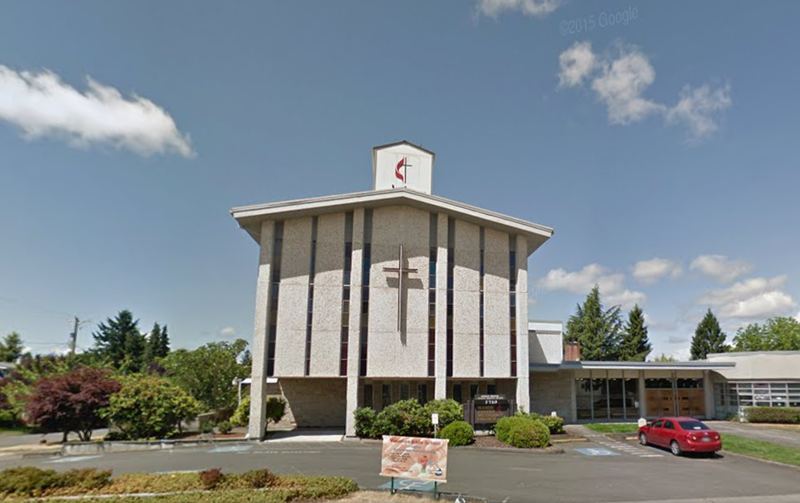 You might assume from all the harsh things said to this church that Jesus doesn’t like them. But nothing could be farther from the truth! 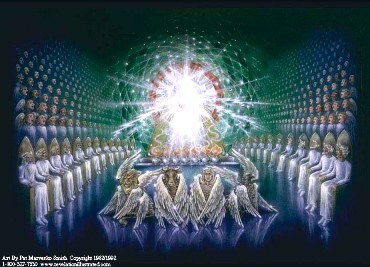 He assures them in verse 19, “As many as I love, I rebuke and chasten. Therefore, be zealous and repent.” Why? Because of two wonderful promises He makes to them in verses 20 to 21. The first is directed to unbelievers in the church. 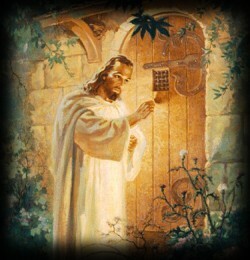 He says in verse 20, “Behold, I stand at the door and knock. If anyone hears My voice and opens the door, I will come in to him and dine with him, and he with Me.” This is one of the most beautiful yet controversial verses in all of Scripture. 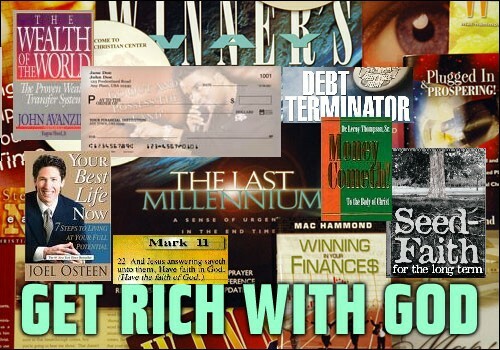 Millions of soul-winners have used it over the years to invite their friends to accept Jesus as their Savior, while other Bible “experts” smile knowingly and say to themselves, “That’s fine, if you want to use it that way. But that’s not the right interpretation. 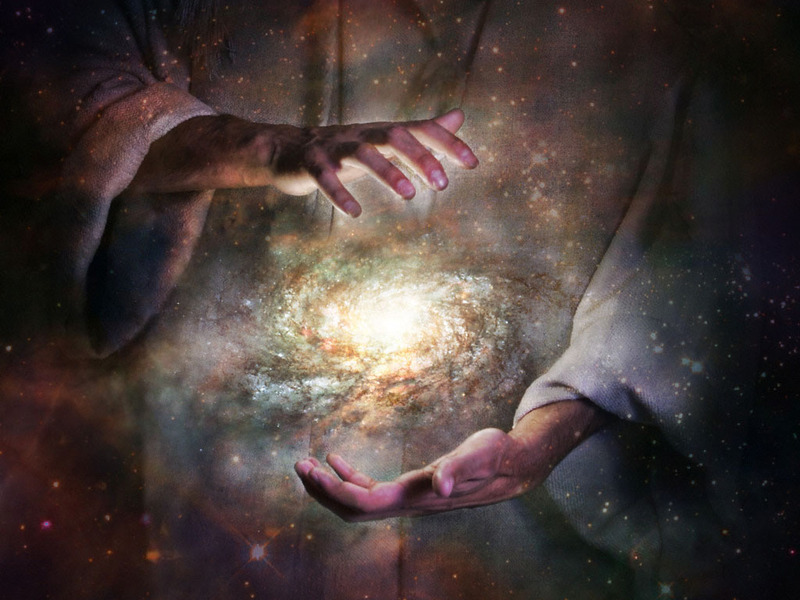 For this wasn’t written to unbelievers; it was written to a church.” And in so doing, they rob the soul-winner of one of the most powerful tools in his spiritual arsenal. I myself have had people tell me I can’t use this verse like that. So who is right? The soul-winners! Two facts make this clear. First, the context. Our study has shown that though this was a promise to the church of Laodicea, most of its members were unbelievers who professed to be Christians, but had never opened their hearts to Christ. Furthermore, where is Jesus in this verse? He’s standing outside the door, clearly indicating that He is neither in their lives or inside their church. However, His gracious promise is if just one person in the church opens her heart to Him, He will come and have fellowship with them. So let me encourage you, my dear evangelistic friend, use this verse as freely and as often as you like. For it was written with your ministry in mind. In fact, the word “dine” in this passage is the Greek word for the last meal of the day, implying what? That the time is short for receiving Christ. So feel free to use every chance He gives you to tell others about Him. Of if you yourself have never received Christ as your Savior, please open your heart to Him today! Lord Jesus, I need You in my life. Thank you for dying on the cross for my sins and rising again to give me new life. I open the door of my life and invite You to come in. Please forgive me and make me the kind of person You want me to be. I turn from my sins and trust You as my Savior. I pray in Your name. Amen. Some time ago, I read an article about the residents of a Florida apartment building who awoke one more morning to a terrifying sight just outside their windows. The ground beneath the street in front of their building had literally collapsed, creating a massive depression called a sinkhole. 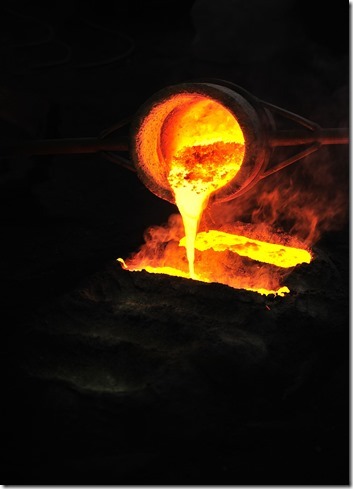 Tumbling into the ever-deepening pit were automobiles, sidewalks, and all manner of goods from nearby businesses. The building itself would obviously be next to go. 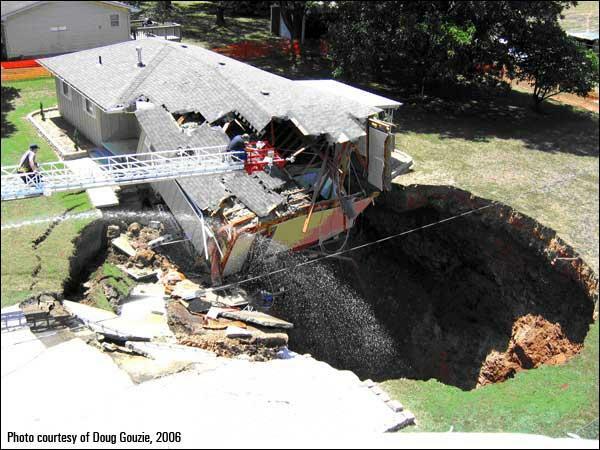 Scientists say that sinkholes occur when underground streams drain away in times of drought, causing the ground at the surface to lose its underlying support. Suddenly everything caves in, leaving people with the terrifying feeling that nothing—not even the earth beneath their feet—is trustworthy. Sadly, there are many people whose lives are like that sinkhole. They have accumulated a plethora of possessions as well as important assets like academic degrees, work experiences, influential friendships, and physical beauty or strength. But they discover too late that their inner world is on the verge of collapse. This entry was posted in Uncategorized and tagged aqueduct, believe, color blind, Creator, gold, Gospel, health and wealth gospel, hypocrites, Jesus, Laodicea, lukewarm, mega-churches, Prophecy, Queen Mary, reign with Christ, Revelation, salvation, sin, sinkhole, thrones, white robes. Bookmark the permalink. Pastor Gary, I love your love for the Gospel. I love your wife’s heart for the Gospel of Jesus Christ. I love to be reminded every day of the Gospel. I need to remember my first love. I need to be reminded daily that a miracle has taken place in my heart. Sovereign God saved my soul. A miracle for sure. I had no desire to be saved and no desire for God’s way but when I was twelve He came to see about me and I said yes to His irresistible love, grace and mercy. I will never forget that day in Bremerton at a Baptist Church on 4th and Warren. I was totally overcome by the love of God and said yes to His invitation. All glory to God for saving my soul. Don’t really know how to explain it but I do remember His love was irresistible.